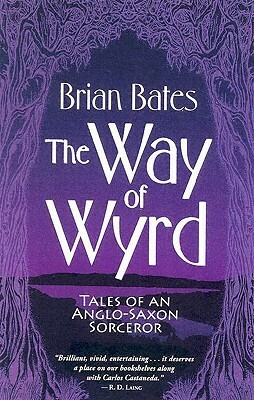 The book The Way of Wyrd is a fictional story of a Christian Monk who is sent to learn the ways of the Anglo-Saxon pagans. The story is rich and entertaining. The author worked hard to research and present the information in a way that was informative and entertaining. By working the true beliefs of the Anglo-Saxon sorcerers into this work of fiction the author has brought back the use of stories to transmit knowledge and information. The book is actually in two parts. The first part focuses on the early aspects of the Monk’s training. Here the monk is very skeptical of all the powers the sorcerer claims to work with and hold. While he works hard to learn all he can learn, Brand (the name of the monk) never really believes the ways of the people or that the powers are real. In this part of the book the author introduces the basic beliefs of the people. The story actually opens with Brand working with Wulf (the sorcerer) at a healing ceremony banishing an evil spirit. This powerful start to the book illustrates a few of the key practices and beliefs that Brand is exposed to as he begins the training. This ceremony is set after he has completed his journey so we see here that Brand has much to learn and yet he was open to them. In this first part of the book Brand is highly skeptical of the beliefs and practices. There are some that even scare him. Though he is fascinated with the tales of the Gods and of the spirits he does not appreciate their real value aside from primitive beliefs and practices. The first powerful ritual that Brand is exposed to is an example of his difficulty in attempting to switch worldviews to learn the beliefs and practices. Here Brand is taught about gathering power from plants and how to properly gather the plant and give it an offering. Other powerful rituals are experienced in this section. Here the author also goes into reading the omens of nature such as the flight pattern of birds and the way fish swim. The largest concept of Germanic paganism introduced here is the concept of Wyrd and knowing how to read and work with Wyrd. The final experience in this section of the book Brand has is watching Wulf heal an elf shot horse. When Brand declares the process a fraud Wulf knows then that he must make Brand experience these forces or the mission to learn their ways will be a failure. The experience at the farm and Brand’s declaration of being a fraud. In the second part of the book Brand is forced to encounter the shamanic aspects of Germanic paganism. Here we learn about spirit flight, how our spirits can be stolen, and how to work a soul retrieval in the practices of the Anglo-Saxon sorcerers. The authors use of the narrative story teaches several elements of Germanic paganism. There are tales of the Gods taught, beliefs about plant lore explored, beliefs of the soul, and much more. 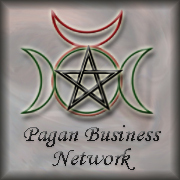 The book provides through the story a basic concept and outline of many main beliefs found in Germanic Paganism as well as in Traditional Witchcraft, Amglo-Saxon shamanism, and much more. This book was well researched and written allowing a student to learn concepts in a way that non-fiction books may not be able to portray them.